HEBRON (ANS — November 4, 2015) — Israeli authorities raided a Palestinian radio station in Hebron before dawn Tuesday on suspicion that the station systematically aired incitement to violence against Israelis. 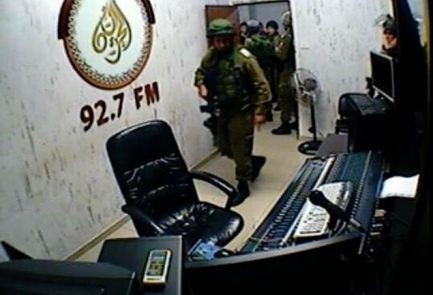 According to a story by Israel Hayom for JNS.org, during the raid, conducted by the Israel Defense Forces and the Civil Administration, troops confiscated broadcast and technical equipment, forcing the station off the air. The Al-Huriya radio station is said to have encouraged violent “resistance” marches. JNS said Al-Huriya was established in Gaza in 2002 by Palestine Liberation Organization activists, and was relocated to Hebron after Hamas violently took over the Gaza Strip in 2007. The station has been shut down by Israeli authorities twice: once in 2002 and again in 2008. 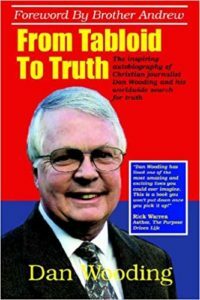 Most recently, JNS reported, the station broadcast false claims that Israeli security forces were executing Palestinians and kidnapping Palestinian boys. JNS said the station also encouraged stabbing attacks against Israelis and honored the families of terrorists who died while committing attacks. Photo captions: 1) Palestinians hurl stones at Israeli troops during clashes in the West Bank village of Si’eer north of Hebron. 2) Jeremy and Elma Reynalds.